When I was a pre-medicine student in my undergrad years, I had absolutely no reason to believe my career would lead me to pastures of public media, where I could hear music not dictated by commercial interests or genre. Instead, I hear playlists curated with passion, eccentricity and the desire to create bridges among diverse acts, including Irish synth-poppers, Kentucky DIY rockers and beyond. Mind you, I was raised on music. My childhood home in Charleston, West Virginia, was filled to the brim with equal parts love and ’60s, ’70s and ’80s music. And when I grew old enough to have a boombox in my own room, you best believe I blasted the very best of ’90s music, to the point that I am sure my parents remember the lyrics to NSYNC’s songs just as much as I do now at the age of 25. As I grew older and my tastes changed, I found public media stations like KCRW, KEXP and WXPN, thanks to the power of the internet. They were there to encourage my evolving musical appetite with indie and alternative bands and little-heard sounds. But I shouldn’t have been that surprised by the power of public media. As a young’un, I gobbled up PBS Kids shows like The Magic School Bus, Mister Rogers’ Neighborhood and Where in the World Is Carmen Sandiego? And don’t even get me started on the number of times I asked Santa Claus for Wishbone games, books and stuffed animals. Each of these shows pushed me to discover the world around me and to always keep the door open for new experiences, places and friends. That sense of childhood wonderment is exactly what brought me to that moment in January 2011 when, sitting on my freshmen dorm-room bed next to a stack of genetics books and lab manuals, I saw a notice about open positions at the college radio station. I realized I wanted to spend my spare time spinning tunes as a music DJ, a position that would morph into assistant general manager of the station (at the age of 18) and lead to my switching career paths from medicine to communication. 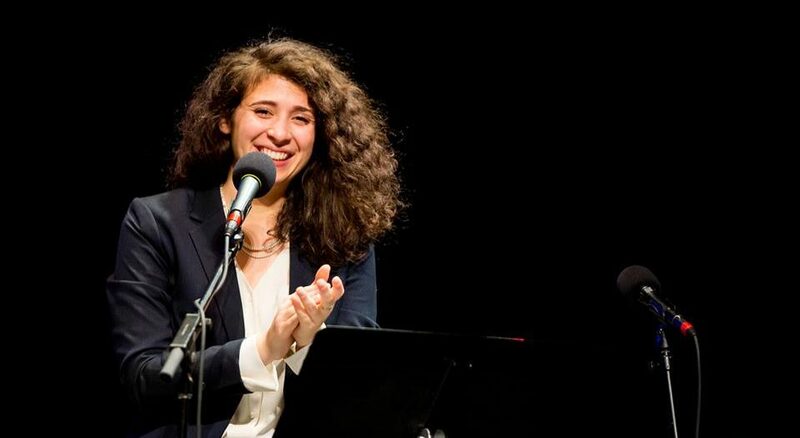 And it took me to that moment in April 2013 when I began an internship with Mountain Stage, the live performance radio program produced by West Virginia Public Broadcasting in my hometown of Charleston. For four years I have had a number of responsibilities and jobs with the show, but nothing compares to recommending up-and-coming acts for the show and seeing them hold their own alongside world-renowned talent. 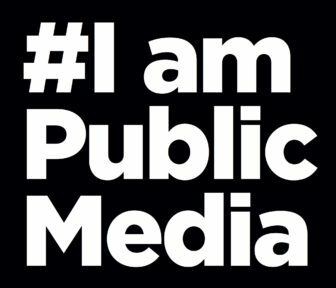 At the end of the day, public media is what you make it. I introduce listeners to wonderful music rather than the same five tunes they might hear on the radio. And each time I meet a listener who discovers a new song through my program or hears about local artists coming together as a result of an interview, my heart beams with happiness. Public media is my home, and moments like these make that even more clear. Lauren Chapman chose public media because the newsroom doesn’t have to fight with management to hold public officials accountable.